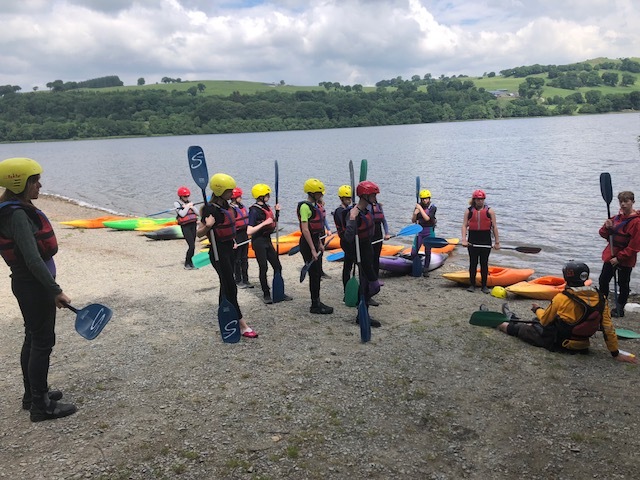 On Sunday 10th to Saturday 16th June, 72 Year 9 students undertook a personal challenge week at the Rhos-y-Gwaliau Outdoor Education Centre in Wales. 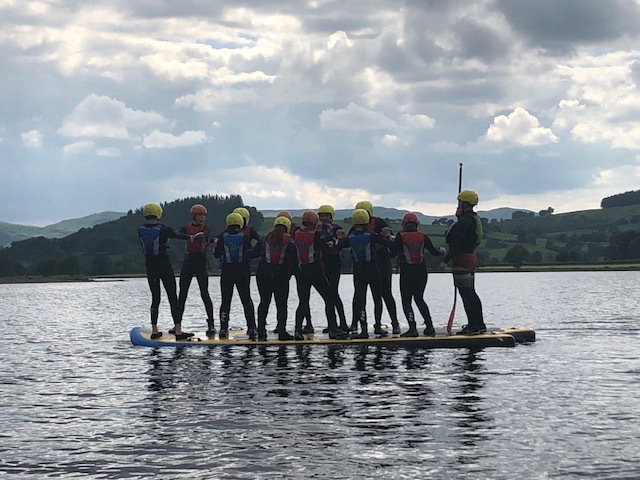 During the week we participated in a huge range of activities from mining to stand-up paddle boarding to an overnight expedition up a mountain which together challenged all areas of our student learner profile. The highlight of the trip for many of us was the gorge walking where we clambered and slid over rocks, fallen branches and up waterfalls to the top. We were shocked to discover that it had taken almost 2 hours of effort to cover less than 1000m! The stand-up paddle boarding was another firm favourite with most of us struggling to actually stand up! Once we had mastered standing up moving the board was another challenge altogether, although it was easier to steer than the sailing boats! The expedition took part either at the start or the end of the week for different groups, it took all morning to prepare our kit, camping equipment and all the food we would need. 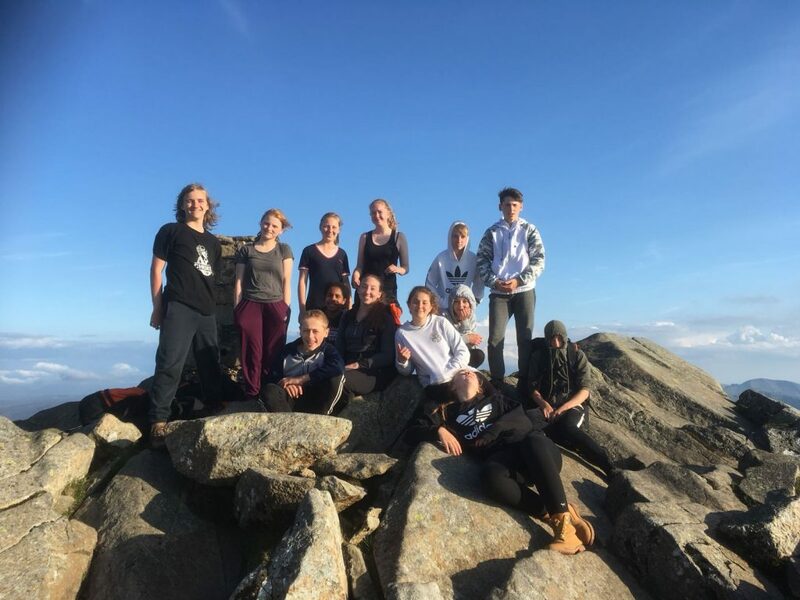 We then had to carry it all up various mountains before spending the rest of the day setting up camp, cooking our dinner and hiking to the summit which was amazing, we were all very lucky with the weather although Group B woke up the next day in a cloud! The rest of the week was spent kayaking, sailing, raft building and mining in a disused slate mine. 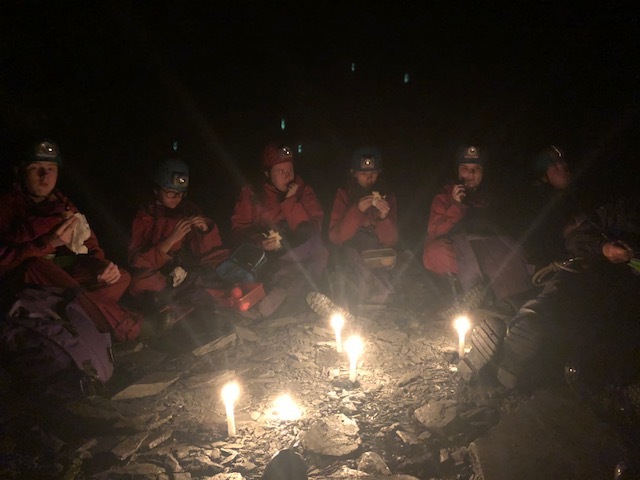 It was really interesting to see some of the equipment used in Victorian times to shift huge blocks of slate as well as having lunch by candlelight as the miners would have done and experimenting with triboluminescence! 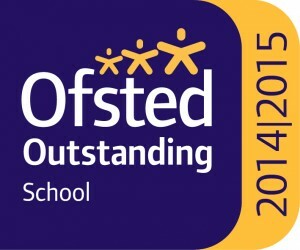 Overall we all had a fantastic week and were proud of ourselves for overcoming the various challenges we faced. We would like to say a big thank you to Miss Bond, Mrs Monaghan, Mrs Aitken, Miss Bailey, Mr Wiggett and Mrs Perrier for taking us.